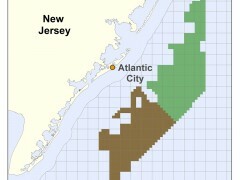 The federal Department of the Interior on Wednesday announced a decision to auction oof 343,833 acres of the ocean off New Jersey to offshore wind power development. If fully developed, the New Jersey Wind Energy Area could support at least 3,400 megawatts of commercial wind generation, enough to power an estimated 1.2 million homes, according to the Department of Energy’s National Renewable Energy Laboratory. 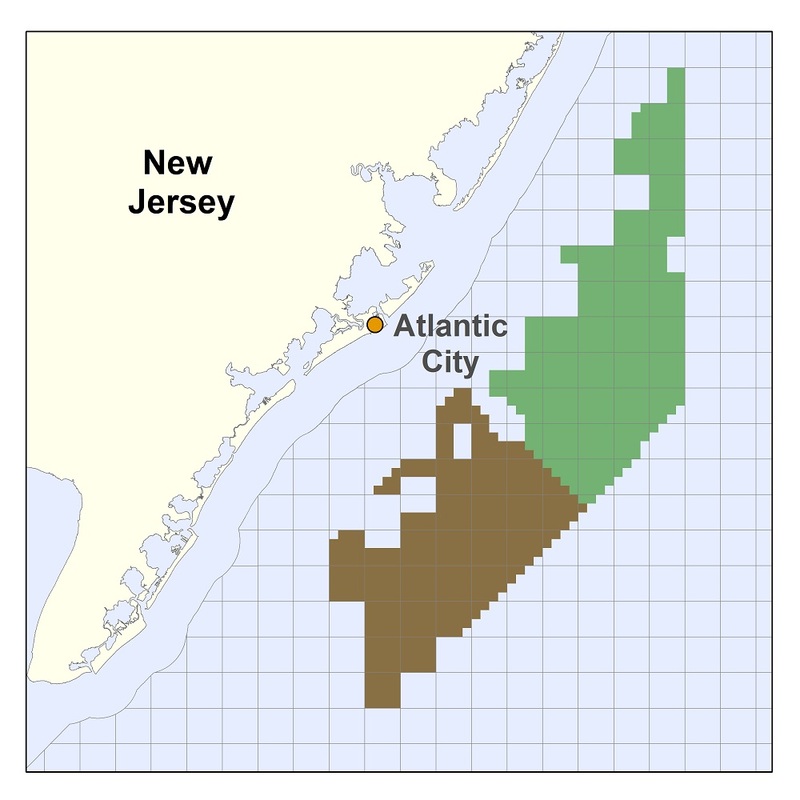 There are two areas – in federal waters about seven miles offshore – that will be auctioned off: a large swath of ocean off Atlantic and Cape May counties, as well as a portion of area extended off the Ocean County coastline off Long Beach Island. The New Jersey Wind Energy Area starts about seven nautical miles from shore, the department said in a prepared statement, so the turbines would not be visible from the beach. A separate project, Fishermen’s Energy, had been planned to be built in state ocean waters, but failed to receive approval from the state Board of Public Utilities. State jurisdiction over ocean waters ends at three nautical miles from the shore. “This effort took significant engagement and cooperation with New Jersey and other stakeholders to advance clean energy development and reduce potential use conflicts, which moves us closer to harnessing the enormous potential of wind energy along the Atlantic coast,” said Interior Secretary Sally Jewell. One prominent New Jersey environmentalist praised the decision, but lambasted the state government for not acting to sell similar leases in state waters. Offshore projects have proven controversial over the years, with opponents raising concerns about the potential for valuable fishing grounds to be destroyed, wildlife habitat to be disturbed as well as hazards to navigation and safety issues with high-voltage electrical cables being present on the ocean floor. 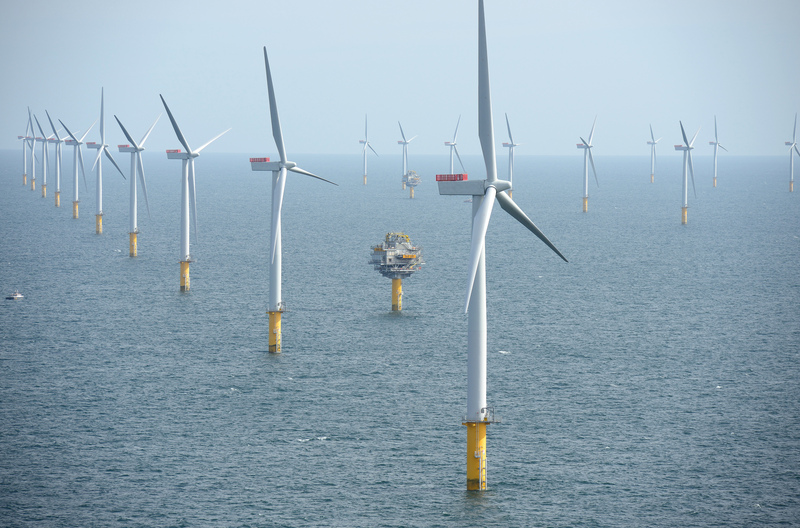 The federal government has already awarded nine commercial offshore wind leases, including seven through the competitive lease sale process – two in an area offshore from Rhode Island and Massachusetts, another two off the Massachusetts coast, and two more off Maryland and Virginia. The lease sales have generated about $14.5 million in winning bids for more than 700,000 acres in federal waters. Fishermen’s Energy is one of several pre-approved bidders for the federal lease auction.